When motorway designers didn’t believe in the driving skills of ordinary citizens, which were perfectly understandable, they made “obstacles” on the road to prevent many drunk people from passing through the oncoming lane or in the gap next to the road. These concrete elements, however, are sometimes too close to the separating line. In this case, many of them take on the brakes and pass through the other lane. Why are people doing this? Because it’s important for them to stay in the “fast track”, even though the fear has slowed down the drivers, probably the cars in the band next to them are moving faster. There are drivers who are afraid of cyclists. When a bicycle crosses their way to the right side of the road, they leave as much space at overtaking as most of them give to a bus. Cyclists, of course, appreciate that you care of them and this is really a very nice thing, but cyclists are just as wide as pedestrians. If there is a bicycle route on the road, this road is enough wide for the bike to fit comfortably near the car, so all you have to do is stay in your lane instead of moving to the oncoming traffic slug or slowing down and driving to the whole journey to home behind the bicycle. 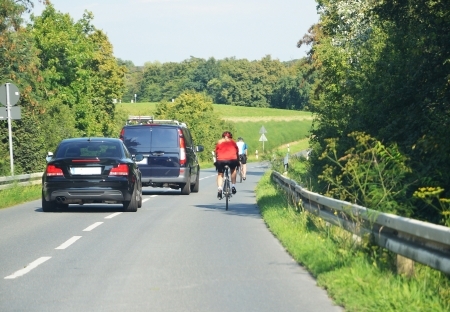 Sometimes there is no bike path, or the road is scarce, or there are cyclists who do not stay on the right side of the road, but except for these situations, cyclists can safely travel in a “man-wide lane” or on the bicycle path. It may be frustrating to leave behind the green light, because there is anyone in front of you who is moving straight and slow. Sometimes a selfish driver try push the slower driver into the intersection where there is not enough space, so it sticks and when the other band is green, it still stands and blocks traffic. There are a lot of people who are very rough and dangerous when it comes to overtaking, but in most cases they don’t move forward, at least not according to their expectations. For example, they are overtaking in the bus band at a speed of 120 km / h.
But what if the lamp is red at 200 meters in front of us? Why would someone overtaking you to reach the red sooner? Do they enjoy the waiting at the red light? Obviously yes, because this happens more often than it should. You often discover the lack of civilization on the roads, but sometimes the overdose of kindness can be just as annoying. If you reach the highway and there is a plug, it should be classified as a zipper, 1-1 car alternating between both sides. Sometimes a soft-hearted driver has let someone into it, then somebody else and then one more. After a while, you will see that the stream of inbound cars is actually infinite, so after a few moments of hesitation they go ahead and release the traffic they are waiting for behind them. A similar problem can be observed at the STOP tables, where some people ignore the fact that, according to the Highway Code who can move forward and treat the situation as a practice to the drivers move behind of them. This can confuse the other drivers. They obviously maintain the traffic with credit card booked parking space. The worst thing is that in most cases they are waiting in the middle of the road at a 45-degree angle to make the easiest way to get in, but ignore the fact that they block traffic in both directions. If you are a responsible driver, you know there are blind spots around the car, which you can’t be seen from the mirrors and is bad if another vehicle is moving in it. Sometimes, if someone goes to this area, it’s no problem. If you accelerate or slow down, they get out of the blind spot. But for inexplicable reason some drivers insist to stay in the blind space. If you accelerate, they speed up. If you slow down, they slow down. But why? One possible explanation is that they just do not listen to it and unconsciously strive to move along the same speed as your nearest car. For those who are paranoid the other explanation is that they may be a criminal. 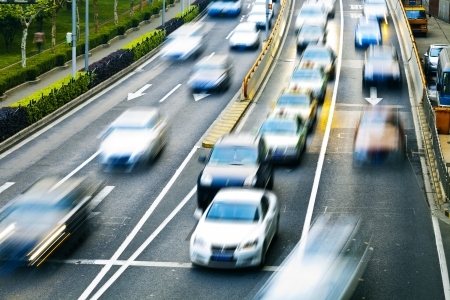 Most slow drivers are negligible but some of them are active, aggressive deniers. When you overtake them, as usual a slow driver, they suddenly wake up and speed up. As if they were outraged that you considered them slowly, how you dare to judge their speed, they are quick drivers just got them in a bad moment. Of course, 30 seconds later, when you retract them, they return to normal speed. Do you overtake them again? In the case of highway crazy people, 3 blocked traffic lanes are just an opportunity to show their amazing driving ability. More than likely, there are hours of video games behind them. Is parallel parking not í part of the driving license? Many do not really know how their car works. Parking at a given location and turning the wheel at the same time will overwhelm them. Finally, they usually take a weird angle and block traffic during parking. sThey are like relatives who do not leave until the end of the night, for left-band bandits there is no significance for the place or the time. In most jurisdictions, slower traffic means that on the multi-lane highway you are moving in the right lane. But this does not prevent many drivers from moving to the left, even if their speed is well below the permissible speed. Telepathy is a supposed common property of these drivers – common problem in suburban roads. Do not worry, they know exactly where they go, the mistake is to assume that everyone else knows. Ironically, when drivers without a turn signal would want to signal their intent, they will inevitably forget to turn off the index after a bend and blink for a while, so the other drivers can only guess. Again.